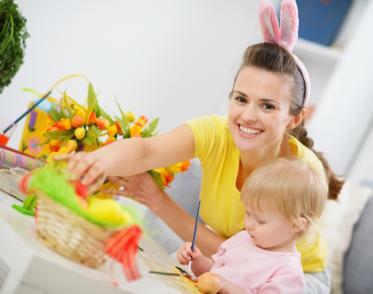 Kids’ Easter crafts can be educational and fun activities. Crafts can teach children a number of things about Easter, shapes, calendar math, writing, and art. Using approximately ¾ of the paper, draw a 5 row, 7 column table of 35 squares. Label the top of each column Sunday, Monday, Tuesday, Wednesday, Thursday, Friday, and Saturday. Look at an existing calendar for the year to determine what day to put the first day of the month. Continue labeling the following squares to 30 or 31 (depending on whether the month is March or April). The square containing Sunday in the last row will need to be sectioned into two triangles in order to make all the numbers fit properly. Use the construction paper or stickers to make pictures representing different holidays. For example St. Patricks Day, April Fools’ Day, Daylight Savings Time, Good Friday, and Easter. Use the pre-cut letters to spell the month at the top of the calendar, and above the month, use the Easter grass, construction paper, stickers, and glitter to design a picture for the month. Older children can write an Easter poem in place of the picture and layer construction paper behind the poem as a frame. Using 8 ½” x 14″ construction paper, have children draw what Easter means to them. Use the pre-cut letters for younger children, or sentence strips for the older children, to write what their picture is about and glue it to the bottom or top of the picture. Laminate it, and the children have a placemat gift to keep or give away. Fold the construction paper into fourths. 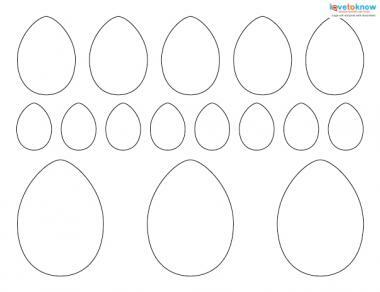 Using precut letters, children can design the outside cover of the card to say “Happy Easter.” If children prefer, they can create a picture of an Easter bunny, eggs, or basket instead. Then children can design the inside of the card. Younger children can use preprinted messages to glue on inner right side. Older children can type up their own messages, and then cut them out to place inside. Show children where to sign the card when they are done. Let the cards dry before children put them in envelops or give away. Glue the smaller ovals onto the larger ovals for the ears. Next, glue the ears to the circle to make the face. Add the goggly eyes to the face, draw in whiskers with the marker, and use a puffball for the nose. Place a small piece of magnet on the back to complete the project. Another kids’ Easter craft is making Easter eggs. Easter eggs can be made using yarn, construction paper, and a hole puncher. Cut out large ovals from the construction paper. Punch holes about a half inch away from the edge of the entire oval. Thread yarn through the holes. Children can decorate the eggs as they wish, then hang them from the ceiling, curtain rods, or make a mobile from them by tying them to a clothes hanger. This includes only a few kids’ Easter crafts children can make. Modifications can be made to each craft, depending upon the child’s age and supplies available, but no matter what the child’s age or the materials used, each craft will be unique and meaningful. Easter is coming up and you know what that means: bunnies, candy, and eggs galore. Every holiday can be a great opportunity to bring in new fun activities for your assisted living residents and Easter is no exception. This Easter, here are a few crafts you can all work on together to brighten the facility up and keep everyone in celebration mode. This is an Easter standard. Many of your residents may well feel that it’s just not Easter without decorated eggs. Reader’s Digest has a list of 17 different ways you can decorate eggs, so you can bring in a few different options and let your residents get creative. The variety will add to the fun. 2. Make homemade Easter cards. No one’s ever sad to get a homemade card from a loved one. Your residents can create some of these lovely Easter cards to send to each other, as well as any loved ones that are far away. A letter’s always nice to receive, but one that shows some real care and creativity was put into it is that much nicer. 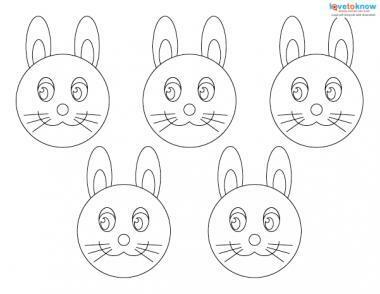 These simple geometric wire bunnies can be used to decorate residents’ rooms as well as the rest of the facility. They’re easy, affordable, and make for an adorable addition to your crafts for the month. While decorating real eggs is traditional, making eggs out of paper mache gives you more creative ways to play with the concept. You can make a simple version of these crafts to use as decoration, or make a clever interactive version that hides a little craft chicken inside. Everyone knows the Easter bunny loves his carrots, so this decorative Easter carrot craft fits the theme of the day beautifully. Residents can hang them on their doors, give them out as gifts to loved ones, or use them to decorate the common rooms and hallways of the assisted living home. This yarn egg wreath can bring some beautiful pastel colors into the space and create a lovely decoration for the doors and walls throughout the assisted living facility. It’s fairly simple to make. You just need plastic eggs, different colors of yarn, foam, and lots of hot glue. The result is both beautiful and in character for the egg-themed holiday. We’ve had eggs and carrots, but so far no bunnies. These Easter bunny pins are a craft you can conveniently wear. All the residents that make one can show how much they’re in the Easter spirit on the big day by sticking one of these pins on. They’re made of materials that are pretty easy to find and can make great Easter gifts for friends and family members if your residents want to make extras. 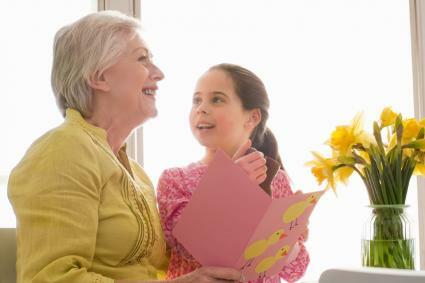 Easter is a special day for many of your residents and they’ll appreciate having the opportunity to celebrate. These crafts can add a little extra to the equation and brighten the assisted living space. Happy Easter!